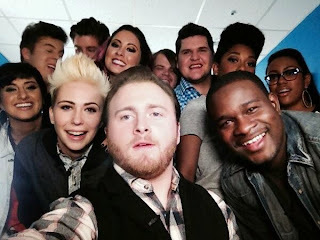 American Idol Season 13 reveals tonight, March 13, 2014 (morning, March 14 MLA time), its Top 10 contestants, who will soon join the 'Idol' tour. Who among the remaining Top 11 finalists will be voted off? And who will stay and advance to the Top 10? The past 2 weeks, two girls have been eliminated. Will it be a girl once again? Jena Irene perhaps who has been in the Bottom 3 twice in a row? Check out live results below. So there you have it! For the first time since the Top 13 finals, that there's a boy in the Bottom 3. Not just one, but two actually. And who's going home? As announced, it's BEN BRILEY! The first male contestant to get eliminated in the finals. Oh sad! It was his first time in the bottom 3, and he was sent home. The Top 10 has 5 males and 5 females. 2 of them (CJ Harris and Jena Irene) are only wild card picks, and they're staying alive in the competition.